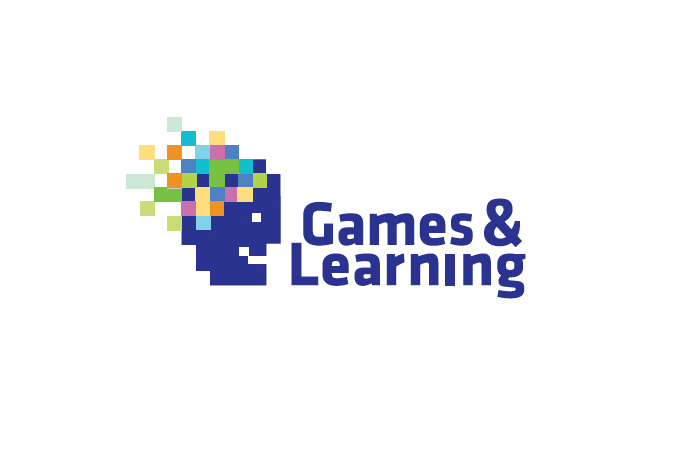 Games + Learning Visual identity system and website for games for learning - a growing sector for educators, researchers, developers and investors. 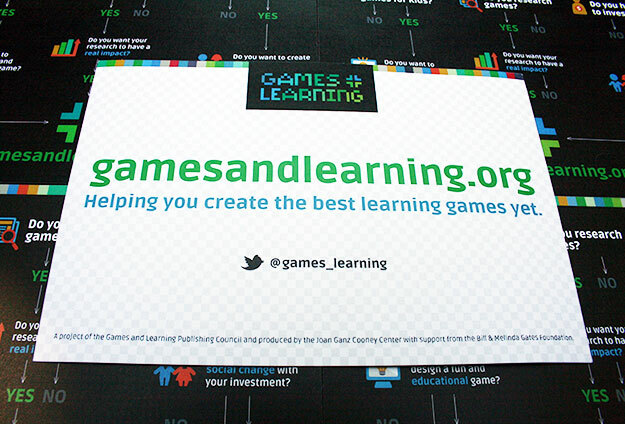 Gamesandlearning.org is a news-oriented initiative intended to elevate the games and learning sector for Joan Ganz Cooney Center, a research division of Sesame Workshop. 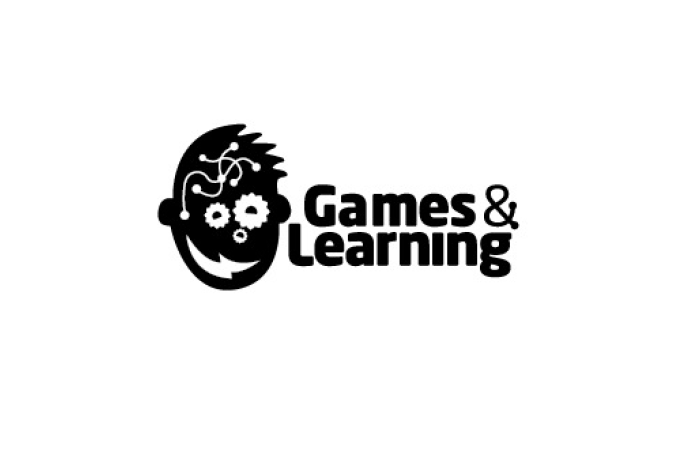 The site is the go-to source for scientific and market research, and analysis of the growing interest of educators, developers and investors in games for learning. 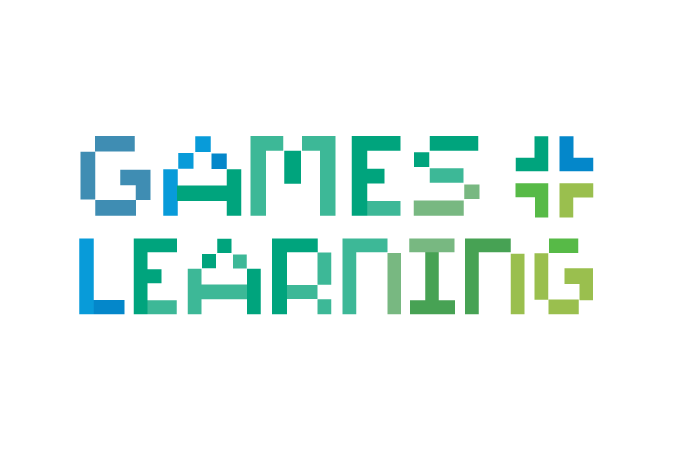 As we began the logo design process, we explored concepts such as fun discovery, 8-bit revolution, and a HUD control panel. 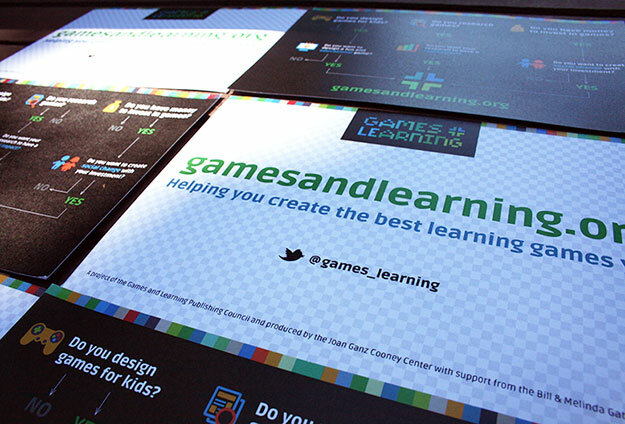 After rounds of revisions, a final 8-bit revolution concept was chosen. 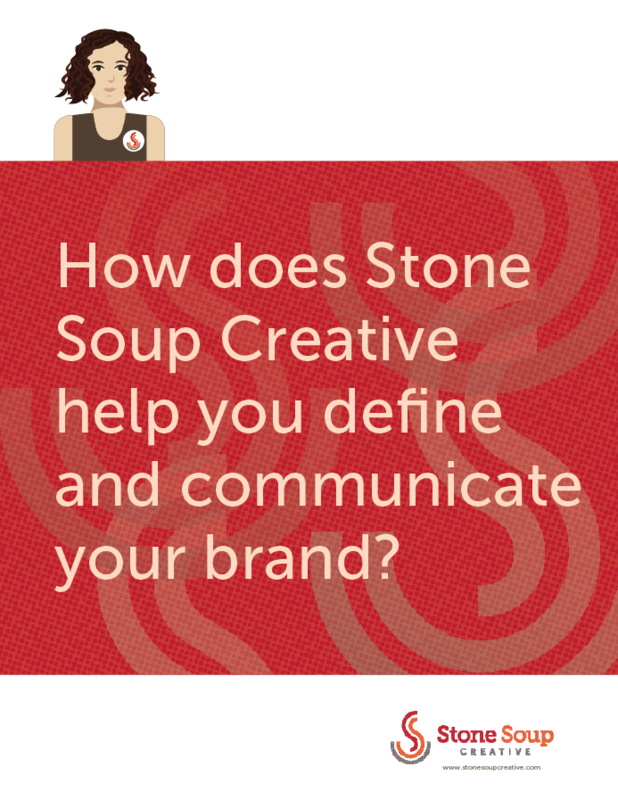 Next, beginning the web design process, we started with “style tiles” – a design deliverable consisting of fonts, colors and interface elements that communicate the essence of a visual brand for the web. 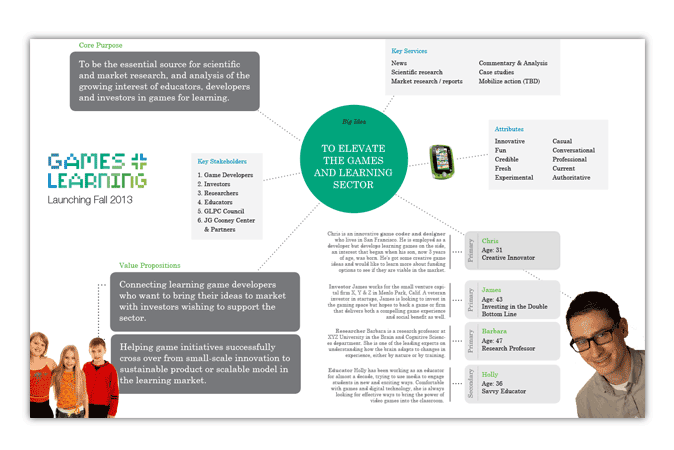 They helped us form a common visual language between us, the designers, and the stakeholders (client team, developer, and editorial director) and provided a catalyst for discussions around the preferences and goals of the client. 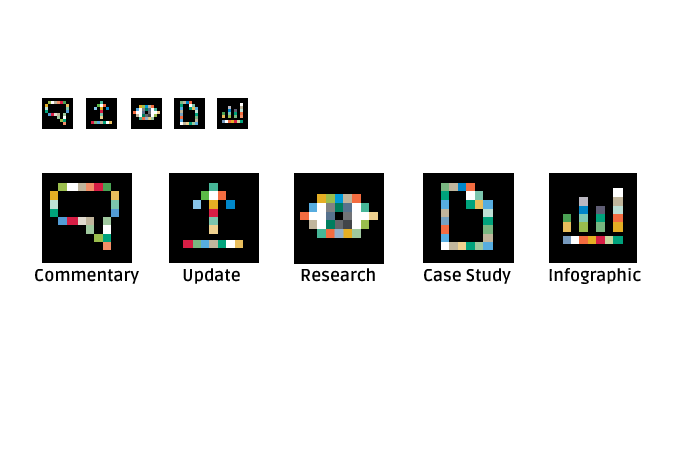 Once a look & feel was agreed upon, we applied this concept to the front-end page designs and icons used on the website to differentiate each content section type (for ex: Market Analysis, Learning Research, and ‘Explainer’ pages). 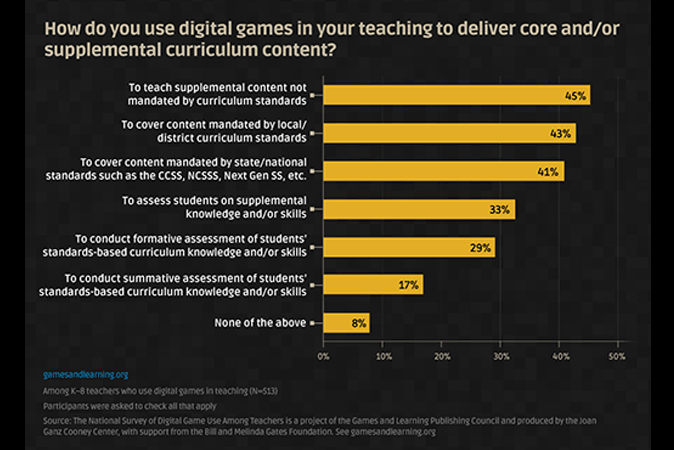 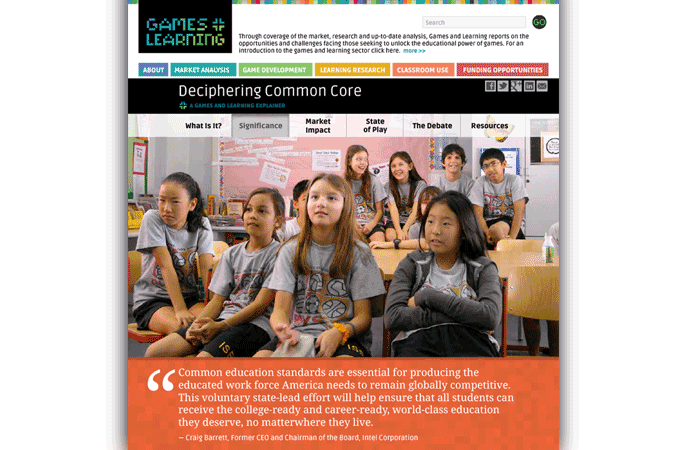 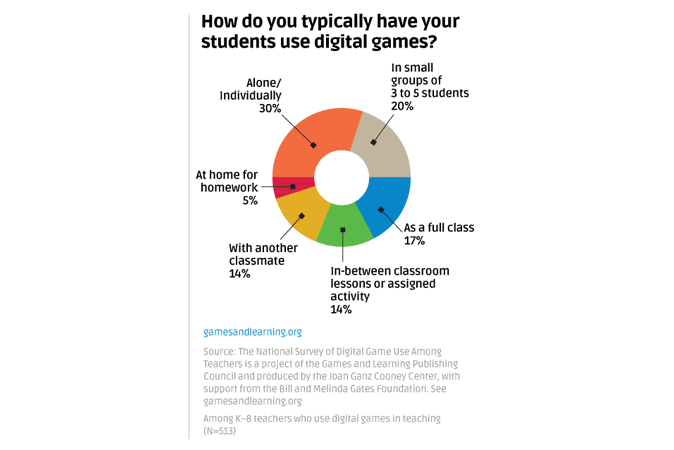 Unique pages highlight “specialty” content – such as this one-page scrolling “Explainer” page devoted to the topic of deciphering Common Core state standards – and this page illustrating the results of a teacher survey on using games in the classroom. 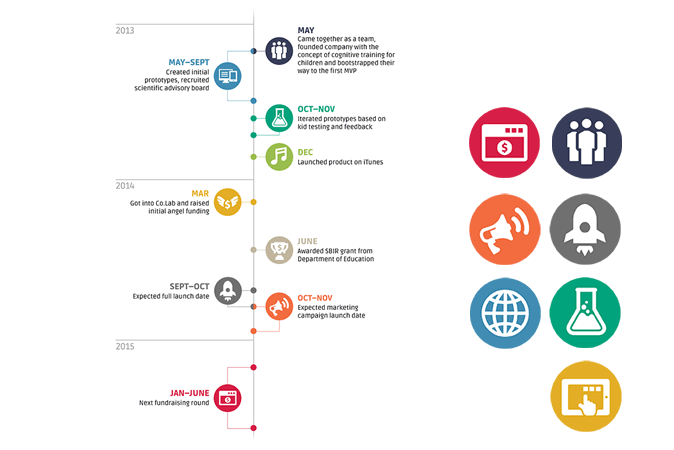 We worked collaboratively with an editorial and development team over a period of 8 months on the website design. 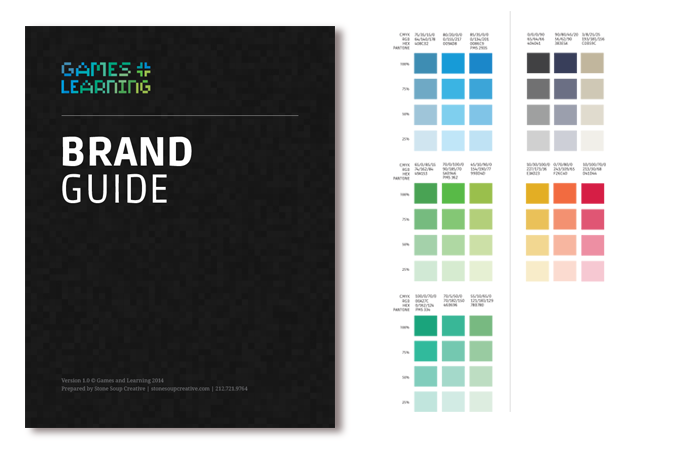 A Brand Standards manual was delivered to the client with logo files, specifications and other graphics so that they can keep the look and feel of the identity consistent. 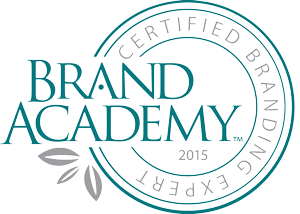 Specific directions regarding the logo, typography, and color palette were included. 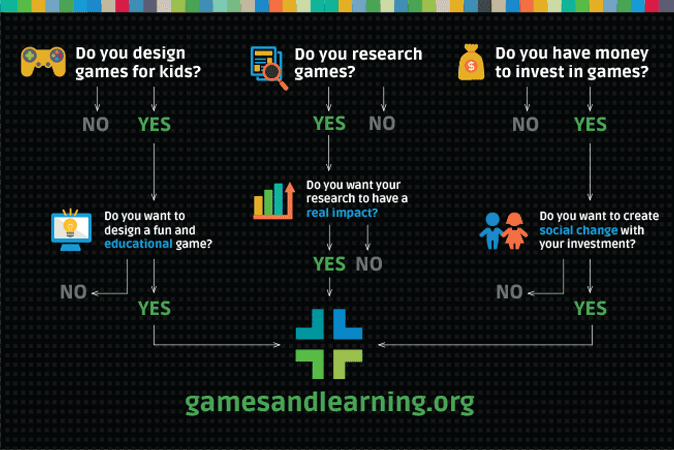 Accurate implementation of the standards helps build a strong image for Games and Learning so that members of the community will have an easier time recognizing their good work and builds brand loyalty. 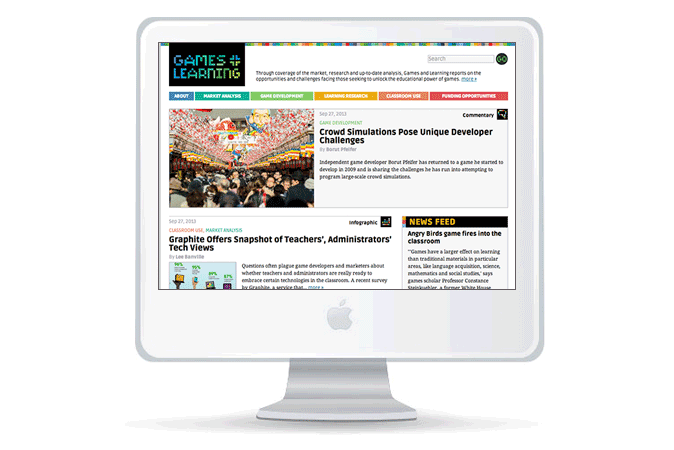 The result is a design site that is fresh, professional, fun and authoritative – yet not too academic-looking. 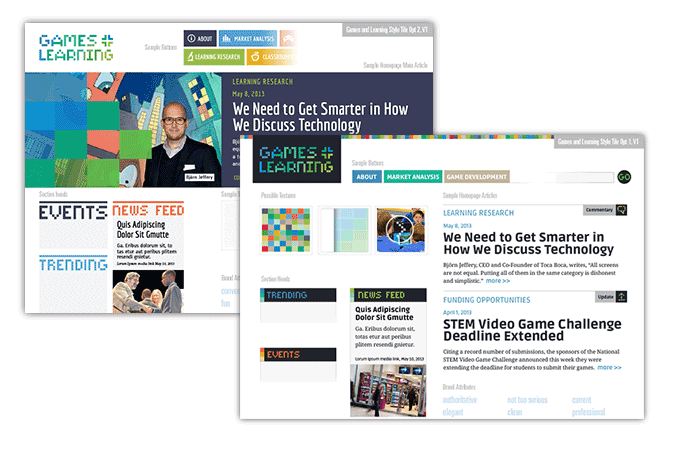 For a content-driven, news-based site, the responsive design is especially easy to use and navigate on tablets & mobile devices.